An oiled wooden table is without doubt a particular feast for the eyes. The oil brings out the grain of the wood particularly effectively and also prevents the penetration of liquids. At the same time, the wood remains open-cell, feels natural and gains in solidity. A regular application of oils sustainably protects and preserves the beauty of your dining table. We recommend high-quality care oils with natural raw materials, which are additionally characterised by high durability, easy processing and fast drying. 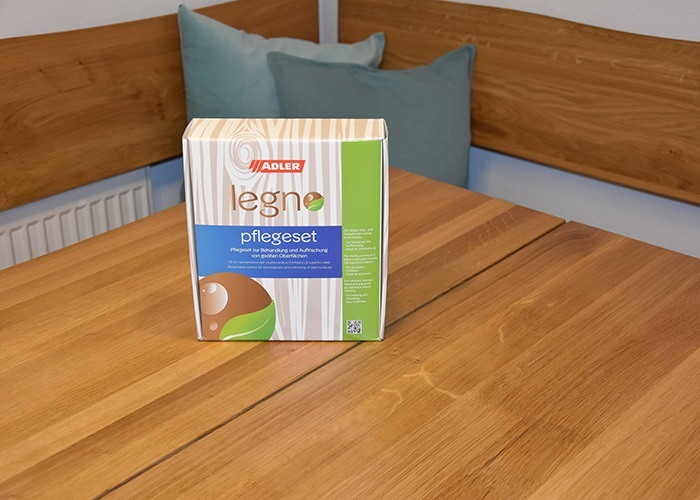 The Legno preservative system is best suited for this, which includes not only a first-class care oil but also an odourless cleanser and the necessary care accessories, a non-fibrous cleaning cloth and a fine sanding fleece. The Legno-Reiniger (cleaner) is applied with a soft cleaning cloth on the soiled and greasy surfaces and then wiped dry. 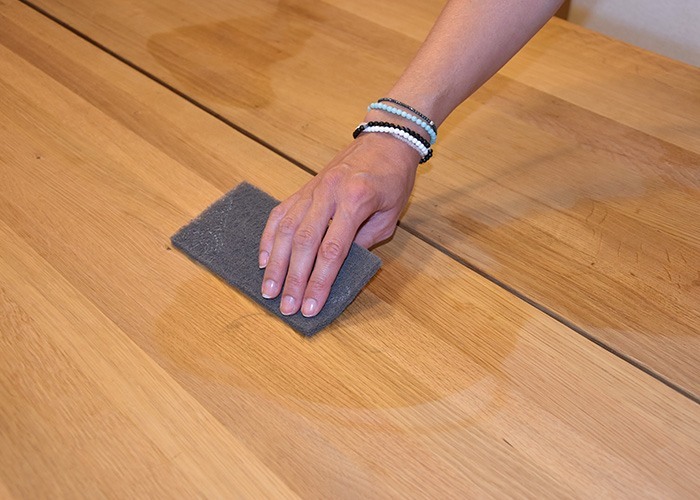 Scratches or heavily worn surfaces can best be pretreated with a sanding pad (abrasive fleece) along the grain. 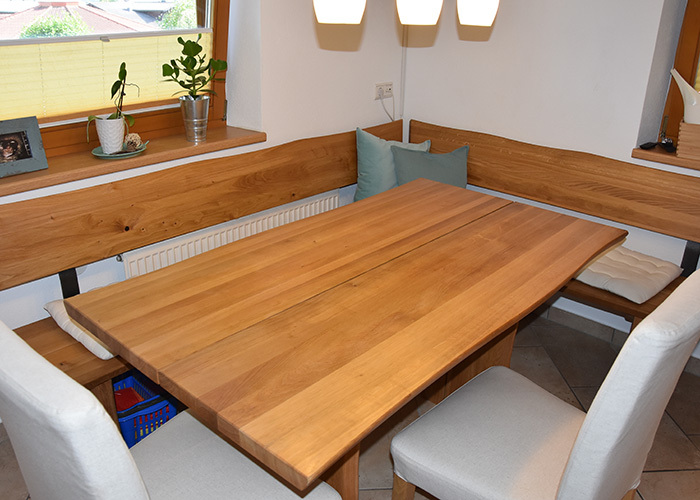 Oiling wood is straightforward and you quickly get a good result. Make sure the surface is dry, free of dust and grease. 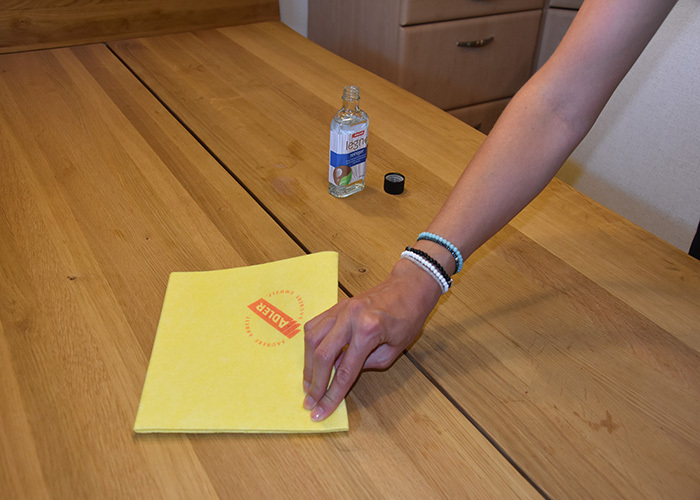 Now moisten the cleaning cloth with the Legno-Pflegeöl (care oil) and apply it evenly and thinly. After about 10 minutes, remove the excess oil along the grain. 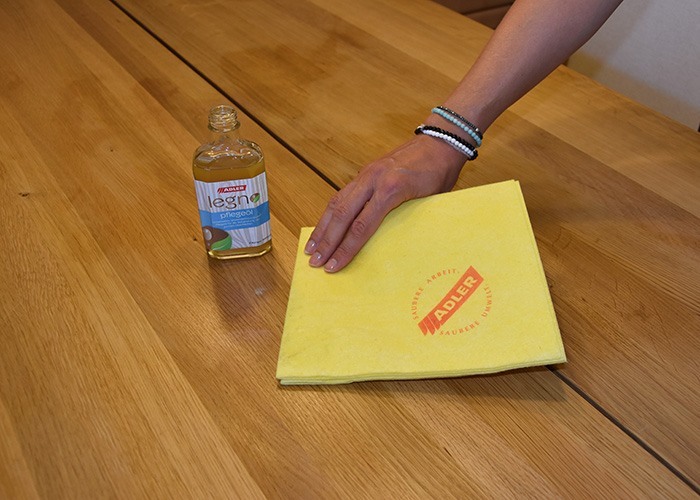 Depending on the load on your table top, you can repeat the application after drying overnight. 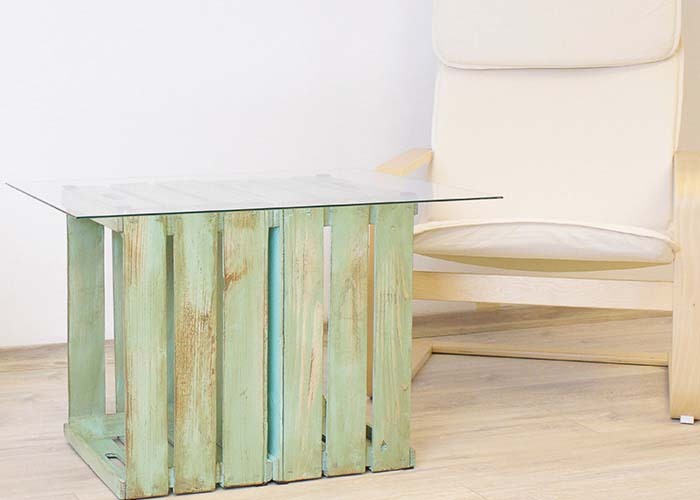 An oiled wooden table wears over time due to mechanical and physical stress. Therefore, we recommend re-treating the table at least once a year.